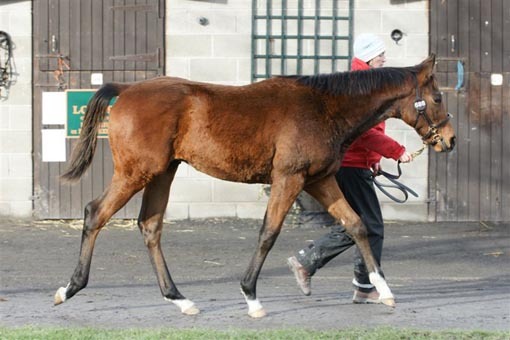 This March-born colt by second crop sire Dylan Thomas ex Sogno Verde was knocked down to Peter Doyle Bloodstock for 135,000 Euro. 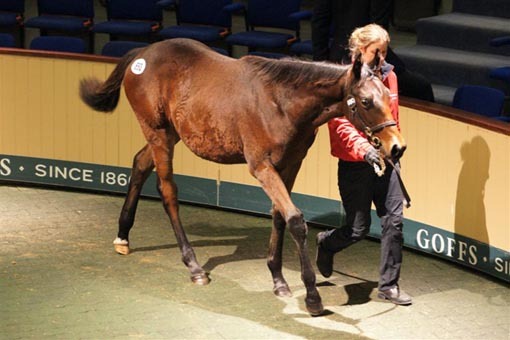 On the day when the International Monetary Fund moved into Ireland to discuss emercency bail out loans for this stricken country, our foals did us proud in the sales ring at Goffs. The Sogno Verde colt (above) became our first six figure foal and we were delighted to learn that he has been bought to race rather than for resale as a yearling. 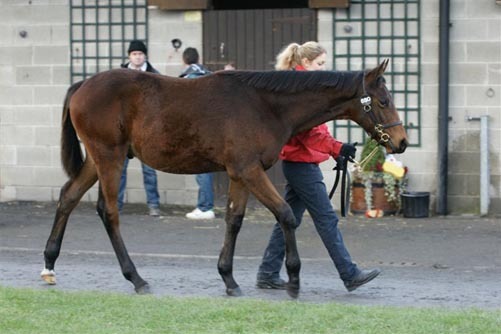 The Lawman colt out of Third Dimension (below) was sold for 55,000 Euros and will be re-offered at Goffs as a yearling by Kilcarn Stud. The Oratorio filly out of Miss Shaan unfortunately injured her left eye and was withdrawn from the sale. 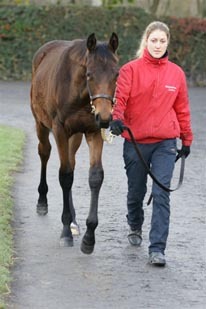 We are very happy to report that she was sold privately and has found an excellent home and will be kept to race. 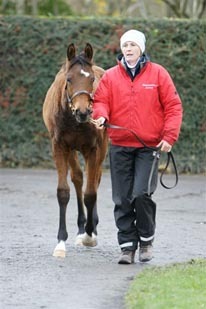 She will be trained by Richard Hannon, as will the Sogno Verde colt. His one year older sibling by Acclamation and Bahceli are also with Richard Hannon, so a visit to his yard is on the cards for next year! A big thank you goes to our sales team of Manuela, Janine and Deirde who do a very professional job that got noticed by many people! Sales impressions (some of us are showing the strain!). 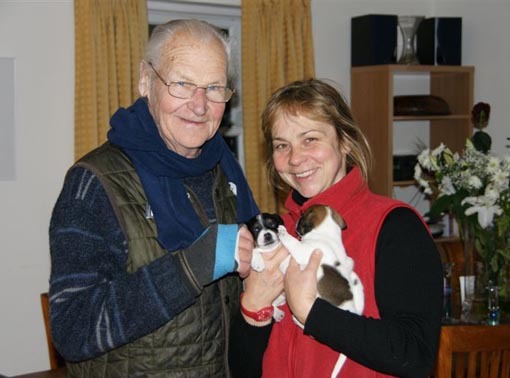 But fortunately there is always home to go to where we can relax and enjoy Coco's beautiful puppies, as well as Des's excellent cooking! A big thank you goes to Scarlett for her dedication and for taking all those lovely photographs (all pictures are by Scarlett Schaer).